Yeovil Town secured their second point in the space of a week as they played out a draw with Arsenal, while Bristol City won 2-1 away to Sunderland. The Lady Glovers held on brilliantly, denying Arsenal over and over to keep a clean sheet. Arsenal move a point closer to Manchester City in second, while Yeovil are still hunting for their first win of the season. 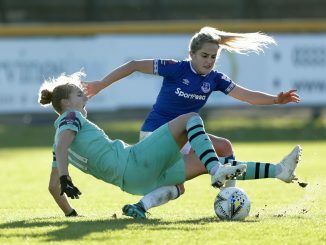 Arsenal started the stronger as Heather O’Reilly, Dominique Janssen and Danielle Carter all had chances but couldn’t find their way past a stubborn Yeovil defence. 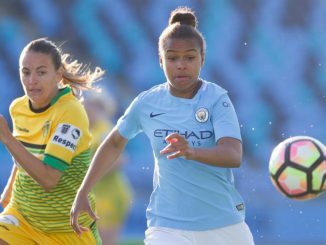 The Lady Glovers carved out their first chance of the game in the 13th minute when Jessie Jones tested Gunners’ keeper Anna Moorhouse with a long-range effort. On 24 minutes, Louise Quinn brought the best out of Lady Glovers’ keeper Megan Walsh, when she produced a powerful headed effort following a Jordan Nobbs corner, which Walsh was able to turn behind. In the 32nd minute, Beth Mead broke free of the Yeovil defence and had the beating of Walsh, but Thierry-Jo Gauvin was able to clear her effort off the line. Walsh was called into action again as she produced a stunning reflex save to deny Danielle Van De Donk. 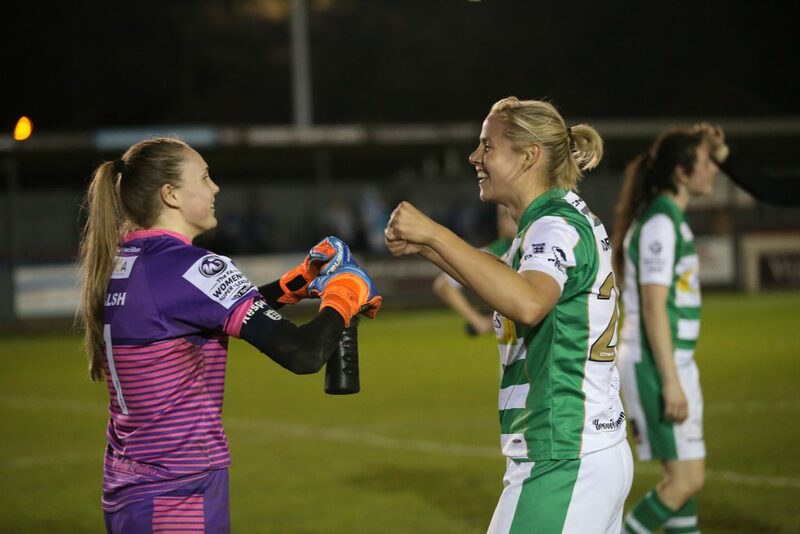 Jones threatened again for Yeovil on when she spotted Moorhouse off her line and attempted a long-range effort, but Moorhouse managed to recover in time to palm it away. In the second half, Arsenal continued to enjoy the majority of the possession, with the pick of their chances falling to substitute Vivianne Miedema on 65 minutes, but she was denied by Walsh. Deep in injury time, Mead cut inside before testing Walsh with a shot on the turn, which she tipped over the bar for a corner, as the Lady Glovers clung onto clinch a hard-earned point. American international O’Reilly connected with a cross from skipper Jordan Nobbs and headed against the bar. The hosts managed to clear the rebound as well to keep the game goalless, and a crucial chance was missed by the visitors. Jamie Sherwood said: “We’ve done the same job that we have done for the last few games, but my girls have shown great character yet again and that’s what we’ve been talking about all season – that character and that resilience. “We didn’t want to get carried away after Wednesday and today is another point and we are now starting to bring teams closer to us and keep going the way that we want to keep going. Joe Montemurro said: “All credit to Yeovil with the way that they came out, but we weren’t good enough today. “When they (Yeovil) came out they had a game plan and we weren’t good enough to break them down. “We couldn’t break them down and we couldn’t get a goal and we couldn’t get what we wanted out of the game today. 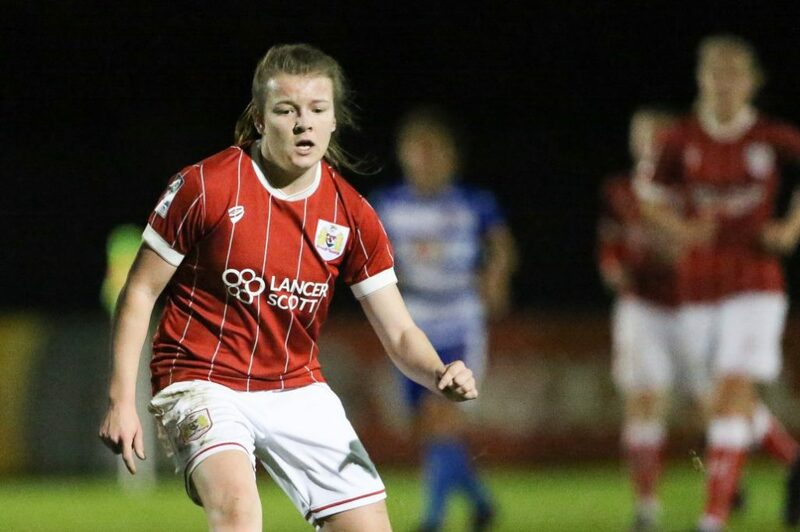 Millie Farrow and Lauren Hemp got the goals Bristol City held off Sunderland at Mariners Park to claim a 2-1 win. Farrow got the visitors off to a perfect start with a goal 13 minutes in before Hemp doubled Bristol’s advantage on the half-hour mark. Lucy Staniforth reduced the arrears for Sunderland in the second half but they couldn’t find an equaliser. City were looking sharp going forward and earned the first goal of the game courtesy of a classy finish from Farrow. The forward jinked one way then the other before chipping the on-rushing Rachel Laws as the Sunderland keeper charged out. Sunderland came close to equalising on 28 minutes, but Kasia Lipka’s floated cross in toward the back post eluded Staniforth, yet still forced Bristol stopper Sophie Baggaley to tip the ball around the post. After Hemp’s goal Zaneta Wyne then nodded wide of the far post for Sunderland as Bristol went in at the break in a commanding position. 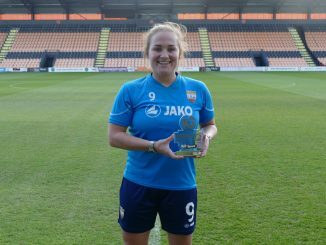 The hosts did find an avenue back into the game in the 56th minute, when Staniforth struck decisively after Abbey Joyce picked the pocket of the Bristol defence, but there would be no second goal for Sunderland as they fell to defeat. Having just gone close, Sunderland were on the attack. But any signs of the home side getting back in the game were dashed two minutes later when the away side scored their second. Hemp was the one to get it, slamming home the rebound after her original penalty was saved by Laws following Kylla Sjoman’s clumsy challenge on Yana Daniels. Sunderland defender Victoria Williams: “We’re really disappointed. We’ve gifted them two goals and then we have got back into the game and stopped playing after that. “So instead of carrying on the momentum, we have started just looking long and we lost a bit of discipline. That’s football. Bristol City manager Willie Kirk: “There was a lot of things we have had to improve in the past couple of months and I thought a lot of it came together tonight in terms of being clinical and the chances we did create. “There were few clear-cut chances in the game. The Sunderland goal came off one of our mistakes and that showed them being clinical too. “I thought we were very professional in terms of seeing out the first half after we went 2-0 up then one thing that has happened to us as a young team is when we have conceded it has taken us a while to recover.